Rentila is an easy-to-use online property management software. Tenancy management, accounting, tasks, landlord responsibilities… Be in full control of your business with our end-to-end property management software. Create a detailed file of your property (flat, house, parking…. ).Add address, size, equipments an so on. 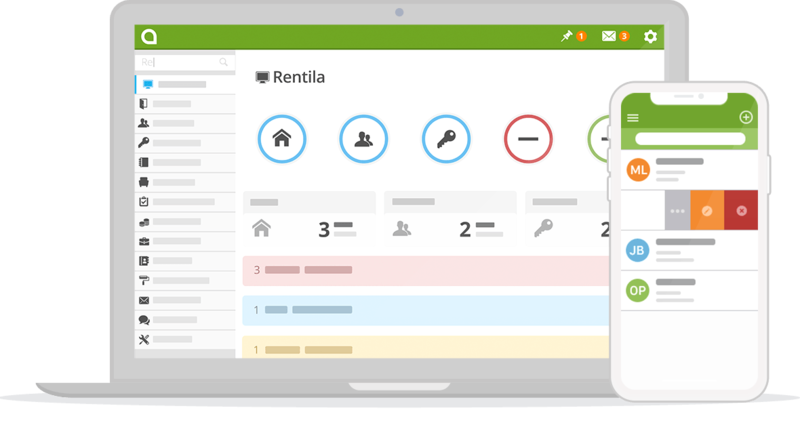 Rentila is a top of the line software that provides all the tools a landlord needs to efficiently manage his property portfolio. Tenants management, accounting, automatic invoices, tasks… we got you covered. Rentila is rated 4.8 out of 5 by more than 1000 users. Wherever you are, 24/7, easily access your online property portfolio. We offer you a simple tool to manage your property expenses and revenues. You can get a snapshot of the financial performance to help you with your tax return. No more paper. Enjoy right now all the advantage of the e-receipt service : view your last receipts online, print, store, download them or look through your archives. Keep track of all your maintenance and repair requests and follow-ups. Create your tenancy and get a pre-filled tenancy agreement template ready to be signed. Online tool helping you with the rent update. Reconciliation of recoverable expenses and creation of a summary document to send to the tenant. Store your scanned documents (photos, invoices, certificated...) and share them with your tenant (landlord). 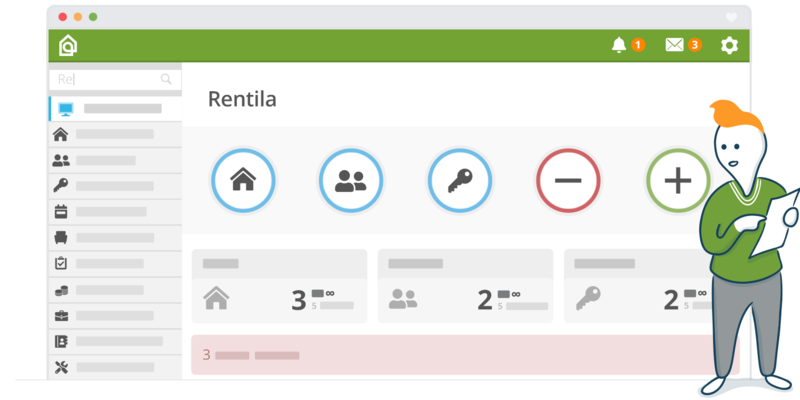 Rentila helps you manage all your reservations for short tenancies in one place and keep everything organised. Simplify the communication between landlords and tenants via our messaging system. Discuss with other landlords. Ask your questions and find answers on Rentila’s forum dedicated to our users. Managing your tenancies has never been easier! Rentila has been created to facilitate tenant and landlord daily interactions.